Ann Demeulemeester’s first book isn’t your average coffee table publication. It’s not the sort of bold-faced title that will gather dust and indented mug rings, while it doubles as a coaster for holiday guests who’ve had one too many. It’s not meant to be a low-hanging rung in a stack of hardcover tomes, either. 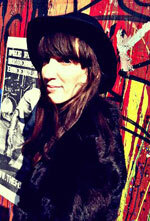 It’s more of an elegant keepsake, a rare treasure waiting to be explored by curious eyes and nimble fingers. It seems only fitting then that musician, writer and longtime pal Patti Smith penned the introduction to the most comprehensive and highly personal account of the Belgium designer’s work to date. And so the loving introduction goes, painting a vivid picture of “Queen Ann’s” early days, her relationship with husband Patrick Robyn and her unconditional friendship with Smith, weathering ups and downs, including the death of the musician’s great love, Fred Smith. Continue to thumb through the glossy pages and you’re presented with 1,000 carefully curated images spanning from 1982 to 2014 — all detailing a darkly romantic vision inspired by muses from Beat poet Allen Ginsberg to photographer Robert Mapplethorpe. With every page, it becomes clear this isn’t a gimmicky, Saran-wrapped present you gift to just anyone. It’s a beautifully crafted retrospective meant for a connoisseur’s private collection. 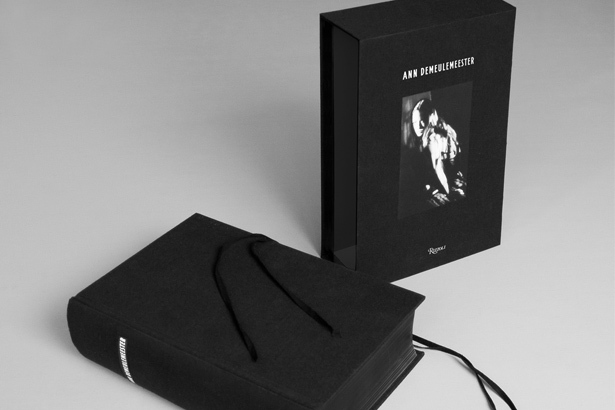 Ann Demeulemeester by Ann Demeulemeester is available now at the Rizzoli Bookstore for $100.